Need an excuse to hunt down the best brownies Brisbane has to offer? Well, December 8 is National Brownie Day. We don’t know why, and frankly we don’t care – all we know is that we have an excuse to eat gooey, choc fudge brownies for breakfast, lunch and dinner and everything in between. So we won’t bore you with brownie facts, we’ll just give you an awesome list of where to get the most delicious brownies in Brisbane so you can do the same. Who needs a man when you have brownies? The loaded salted caramel and Whittaker’s peanut butter brownies by Made in Mayhem are especially hunky and delightful. We’d rather have these as posters on our wall, to be honest. 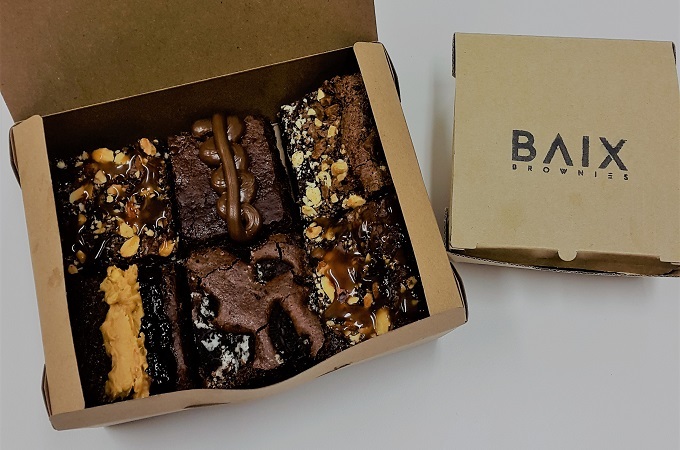 If you had a fudged-up day and need to take a brownie break, be sure to peruse BAIX’s website! It’s full of creamy brownie ‘treat yo’ self’ boxes (hello salty dawgs, s’more please, Red Hot Mess and PB&J flavours!) and they can be picked up from Upper Mount Gravatt or delivered directly to you. They also do gluten free!. 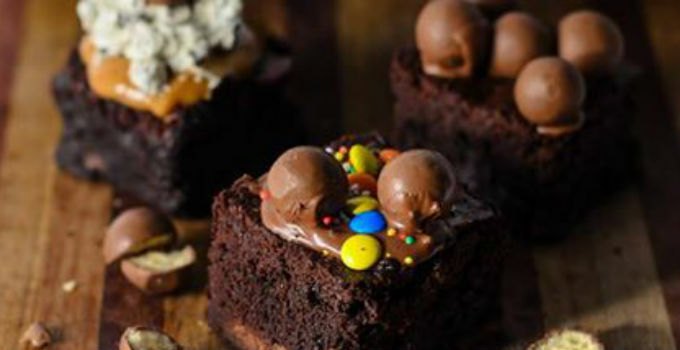 Brisbane’s brownie royalty, Dello Mano is famous for their treats worldwide. You might find it a little difficult to choose from their dozen or so flavours but we’ll be taking advantage of the festive season special and inhaling a Christmas pudding brownie. Ho ho yum. Conveniently (or should that be unfortunately?) located near the Adelaide Street bus stops, The Dark Chocolatier’s $4 Amy’s brownies are a regular breakfast for us, no excuses necessary. They’re only available on Wednesdays though, so you might need to declare it National Brownie Week. We’re hoping that I Heart Brownies fruity flavours will count towards our two a day – raspberry and cherry coconut should do it right? These opulent slices of pure bliss are available in the Wintergarden complex, aka our favourite excuse to shop. With a whopping 30 flavours, Zoe’s Brownies are all your brownie dreams combined. Head to their Facebook page to find stall locations for the weekend and be prepared to end up with a fridge full of brownies. Alongside the usual double choc brownies, Flour & Chocolate Patisserie have proven they are definite brownie masters by inventing scrumptious new specialty brownies every Friday (mocha and walnut anyone?) 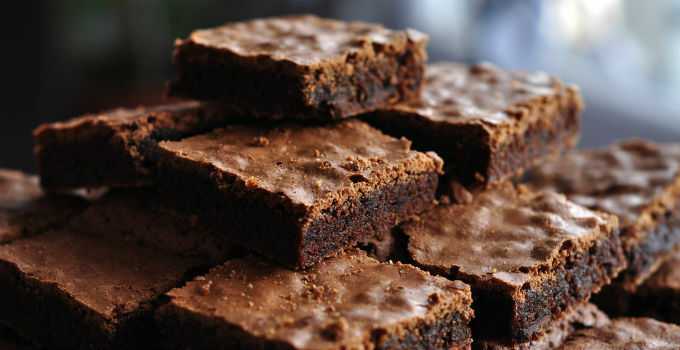 It also just so happens that National Brownie Day lands on a Friday this year… coincidence? I think not! A whole menu dedicated to sweet tooths exists at Dandelion & Driftwood and it includes one very sinful triple chocolate brownie. Pair it with one of their lattes from the espresso bar and you’ve got yourself a whole balanced meal! We suggest lingering here because a brownie won’t be enough at Passiontree Velvet even if it is THE richest you’ll ever taste – you’re going to want it as a part of their decadent high tea. 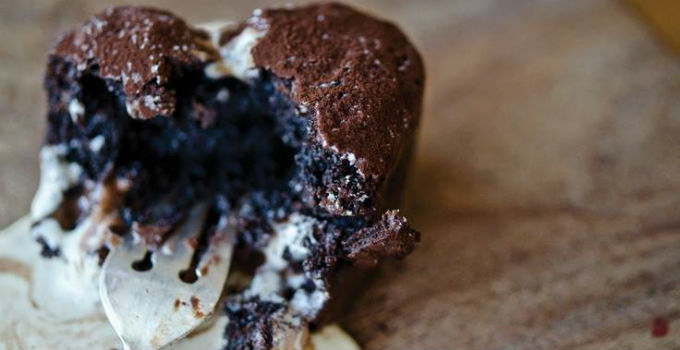 Why don’t we just go ahead and declare it brownie month? Words by Ranyhyn Akui and Jacqueline Pon – the gourmands who believe brownies are definitely gourmet.